The wedding fever is still on! If you want to add more shine and sparkle to the previously mentioned natural colour palette, just get some gold accessories. 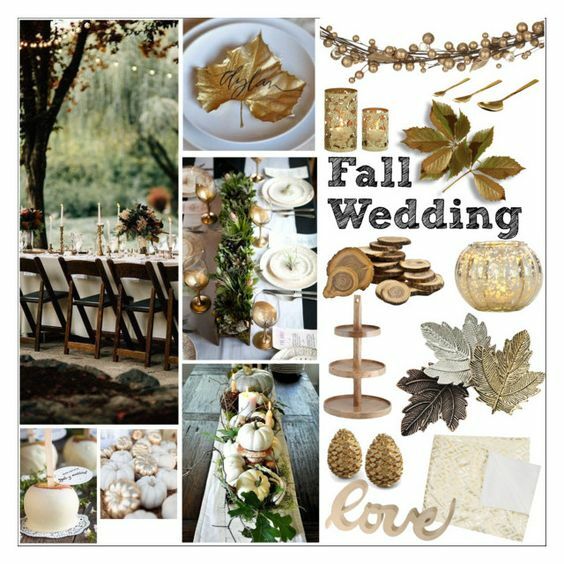 Gold spray will do, with the help of some gold paint you can cover everything: leaves, pumpkins, acorn, pine cone... combined with green, beige and brown it will be elegant and stylish.